Surgical Endodontics Apicoectomy At The Cambridge Dental Hub. 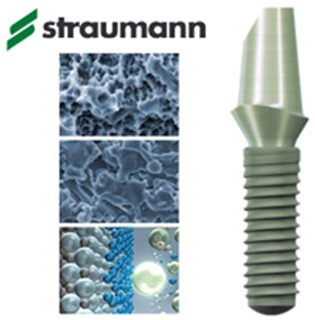 Rubber dam in Dentistry and Endodontics. Gaps and spaces in the dental Arch. 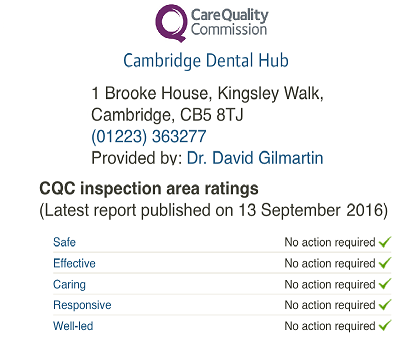 Endodontics and Root Canal At The Cambridge Dental Hub. •Surgery can help save your tooth in a variety of situations. •Surgery may be used in diagnosis. If you have persistent symptoms but no problems appear on your x-ray, your tooth may have a tiny fracture or canal that could not be detected during nonsurgical treatment. In such a case, surgery allows your endodontist to examine the entire root of your tooth, find the problem, and provide treatment. 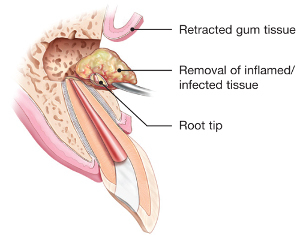 •Sometimes calcium deposits make a canal too narrow for the instruments used in nonsurgical root canal treatment to reach the end of the root. If your tooth has this “calcification,” your endodontist may perform endodontic surgery to clean and seal the remainder of the canal. •Usually, a tooth that has undergone a root canal can last the rest of your life and never need further endodontic treatment. However, in a few cases, a tooth may not heal or become infected. A tooth may become painful or diseased months or even years after successful treatment. If this is true for you, surgery may help save your tooth. 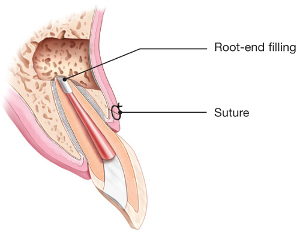 •Surgery may also be performed to treat damaged root surfaces or surrounding bone. 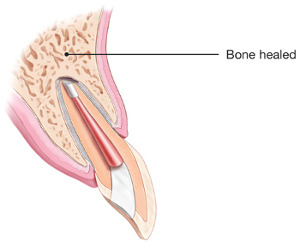 The Endodontist might perform include dividing a tooth in half in order to eliminate a furcation involvement, repairing an injured root, or even removing one or more roots. 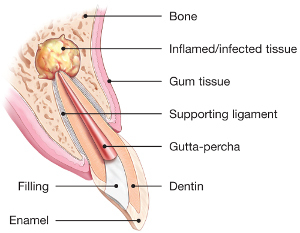 The Endodontist will be happy to discuss the specific type of surgery your tooth requires.